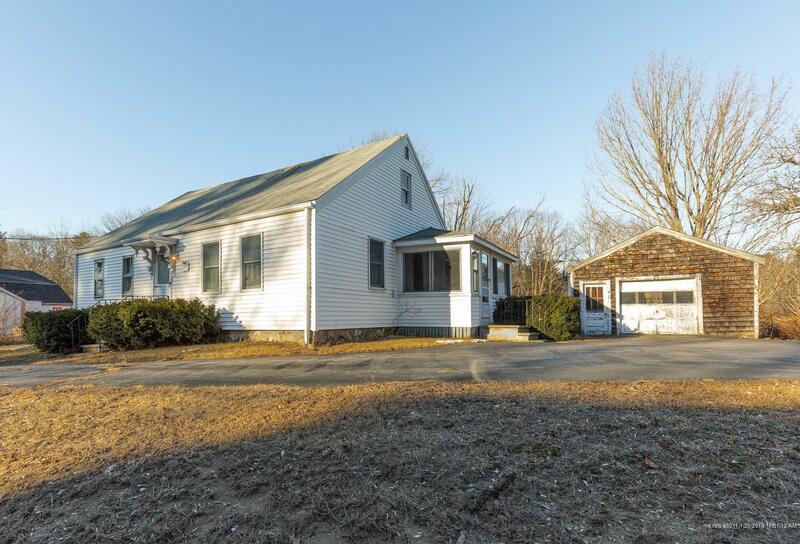 Residential or commercial opportunity on Rt 1 in York. This cape has been restored and updated throughout. A detached shed that offers great storage is located right near the side entrance of the home. A glassed in porch and quaint front entry bring you into the spacious first level with wide plank wood flooring. A large living/family room offers plenty of space to spread out with the opportunity to create additional bedroom or office space. The rest of the first floor features a bedroom, full bath, laundry room & updated kitchen that flanks the formal front entry. A stairway brings you to the unfinished second level that is loaded with opportunity. This large unfinished space is ready for additional bedrooms or office space and has plenty of headroom. Don't miss this great opportunity!